ZAMBEZI – A man allegedly arrested on suspicions of possessing a firearm illegally has died in police custody in the North-western ZAMBIA district of ZAMBEZI. The Acting Police Inspector General says the force will carry out an inquiry to determine what could have led to the death of the suspect at the ZAMBEZI Correctional Facility. EUGENE SIBOTE says they plan to send a team of officers and a pathologist to the district to conduct a post mortem and find out what led to the burning of a police vehicle as well. He has revealed the development to ZNBC News in the capital, LUSAKA, saying the incident occurred after officers allegedly tortured the man to death after accusing of illegally possessing a gun. 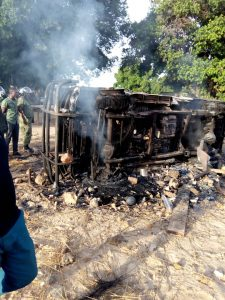 The national broadcaster also says yesterday, a mob of residents of ZAMBEZI District burnt a police vehicle and destroyed the district hospital mortuary. It says the provincial leadership of the ruling PATRIOTIC FRONT Party has condemned the events, describing them as retrogressive and unfortunate. Provincial Chairperson JACKSON KUNGO says the actions, which led to loss of life and damage of property could have been avoided. He has called on both the security officers and members of the public to exercise restraint in their engagements. MAPUTO – The MOZAMBIQUE Revenue Authority says it has detained an assortment of goods that include food, phones, and motor vehicles smuggled into the country. 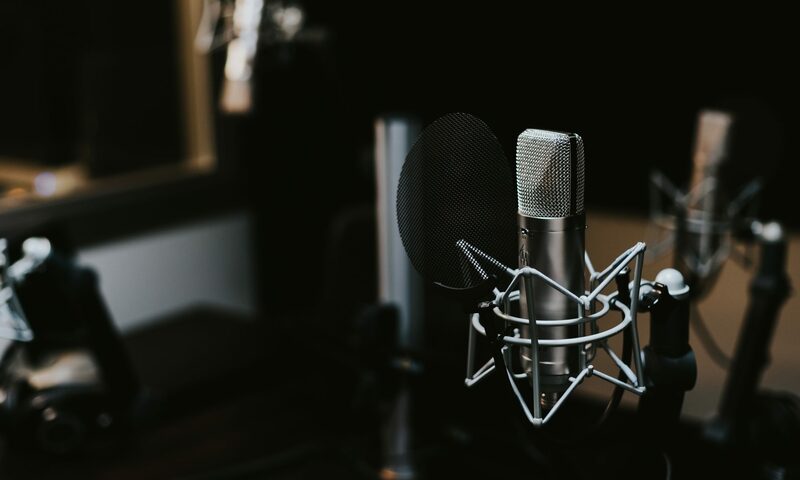 RADIO MOZAMBIQUE says the agency has carried out an operation in the districts of ZOBUE CUCHAMANO, on the border with ZAMBIA, as well as in CHANGARA and MOATIZE, which border MALAWI. It quotes the Revenue Authority TETE Provincial Officer as saying they have seized SEVEN cars, a number of cell-phones, about 19-THOUSAND tonnes of sugar, THREE bales of used clothing, 16 packs of soda, 67 tyres, and other loose items. ÂMIDO ABDALA says many people resort to covert cross-border activities largely because they cannot afford to pay for travel documents, border taxes, work permits, as well as import and trade licenses. He says officials in TETE Province have adaunting task to monitor the movement of goods and people at THREE major boundaries with ZAMBIA and MALAWI. He names the frontiers as CUCHAMANO in CHANGARA District; ZOBUE in MOATIZE; CASSACATIZA in CHIFUNDE District; CALOMUE, which also borders MALAWI, in ANGONIA District. However, Mr ABDALA says poachers and smugglers have virtually destroyed the boundary fence by cutting it or even digging trenches underneath. MOZAMBIQUE has for years being struggling to bring sanity to its borders amid a concoction of crimes like illegal migration, human trafficking, armed banditry, poaching, and smuggling. Defence Minister ATANÁSIO M’TUMUKE had to meet his TANZANIAN counterpart, HUSSEIN MWINYI, last year to come up with a joint operation plan to fight cross-border crimes. 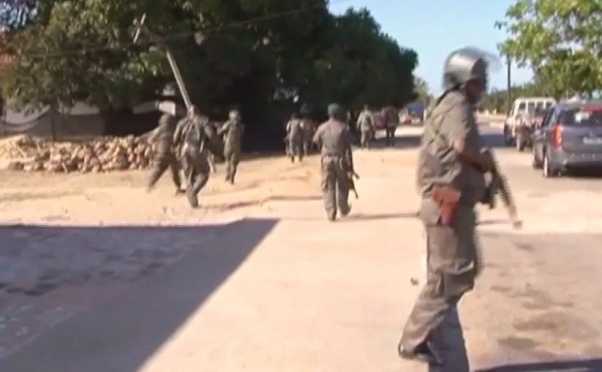 Their discussions in the South-eastern TANZANIA town of MTWARA came after a wave of attacks against civilians and security posts by armed gangs in the CABO DELGADO Region of Northern MOZAMBIQUE. The previous year had seen at least 100 people – including civilians, members of the security forces, as well as suspected bandits, killed in violent clashes in the area. 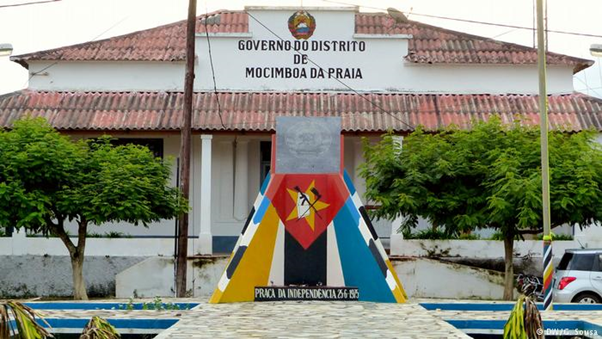 Media reports say the wave of violence in CABO DELGADO broke out after a group from a local mosque attacked police stations in MOCÍMBOA DA PRAIA District in OCTOBER 2017. VICTORIA – The SEYCHELLES Ministry of Education says it expects to hire additional teachers from ZAMBIA. The Principal Secretary for Early Childhood, Primary and Secondary says the recruitment will be through a Memorandum of Understanding with the ZAMBIAN Ministry of Education. ODILE DE COMMARMOND has told a media conference the move will help the government to compensate for the shortages of teachers in State schools. She says for the time being, they have 46 vacancies at the secondary level, although it does not mean they are going to fill all the vacancies with teachers from ZAMBIA only. Ms DE COMMARMOND also says other teachers will have to come from elsewhere, because ZAMBIANS cannot teach some specific subjects such as Religion, FRENCH, and Physical Education. National news agency, SNA says there are 35 primary and secondary state Schools in the group of 115 islands of the INDIAN Ocean. 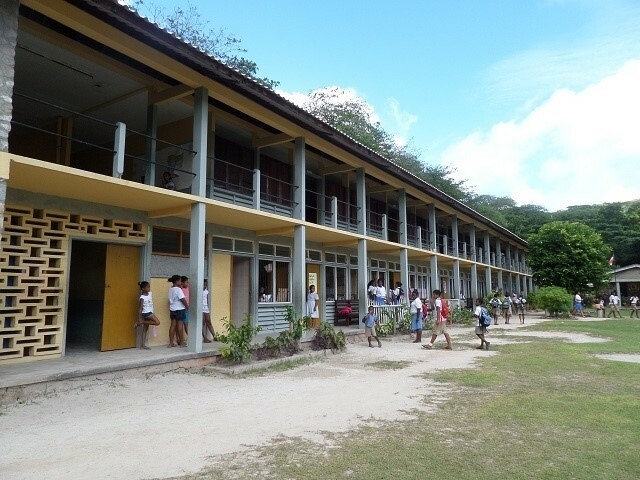 It says presently, there are ONE-THOUSAND-AND-50 teachers, including 173 foreigners, working in such institutions on the THREE main islands of MAHE, PRASLIN, and LA DIGUE. Principal Secretary DE COMMARMOND also says early this year, the Education Ministry took in a group of ZAMBIAN teachers to work in the educational sector, mainly at the secondary level. She says the local authorities are still looking at the pace of their adaptation to the system to see if there are any setbacks, and how both sides can move forward. Ms DE COMMARMOND explains the FIRST thing that the ZAMBIANS need to adapt to is the school curriculum. In their country, the ZAMBIANS have their own examination system and they do not train students for International Certificate of Secondary Education. In SEYCHELLES, they will be teaching Science, Maths, Geography, Information Communication and Technology, as well as Design and Technology, which are subjects in the ZAMBIAN educational system. Ms DE COMMARMOND says the SADC member country has offered to help because it has a surplus of professional teachers. LUSAKA – The authorities in ZAMBIA are making frantic efforts to avoid possible disasters in case of heavy flooding this rainy season. LUSAKA Provincial Minister BOWMAN LUSAMBO says there is urgent need to create space for proper drainage systems to avoid overflows, because rains have already started. ZNBC News says he has directed the LUSAKA City Council, which runs the capital, to demolish illegal and other unplanned structures immediately. Mr LUSAMBO says they should target especially structures that have clogged the drainage systems. He has given the instructions during a tour of CHAWAMA, KUKU and MISISI townships to inspect the drainage systems of the areas. Mr LUSAMBO says the city fathers should raise public awareness for people to know how they can get land or any property in the municipality. 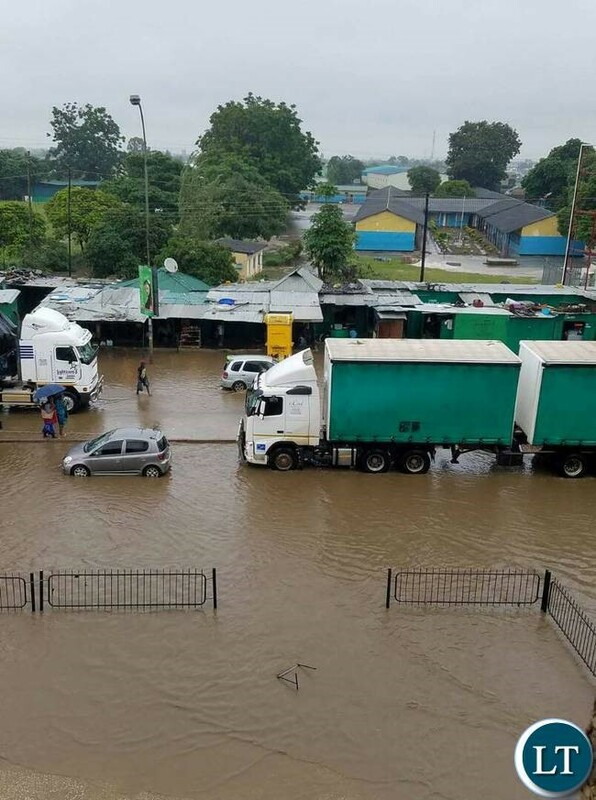 An earlier report in the LUSAKA TIMES newspaper says heavy rains caused serious flooding in some parts of the city in FEBRUARY last year, a situation largely blamed on the poor drainage systems. Floodwaters submerged roads and houses around the upmarket MASS MEDIA area as well as the elite ARCADES shopping centre, after the authorities were caught unawares. The SADC Climate Services Centre says the bulk of the 16-member region is likely to get normal to below-normal rainfall for most of the period OCTOBER to DECEMBER 2018. However, there should be above normal rainfall over the northern HALF of the TANZANIA – with the JANUARY to MARCH 2019 interval getting normal to below normal rainfall for most of the region. On the other hand, there should be normal to above normal rains in Northern ANGOLA, Central DRC, Southwestern TANZANIA, Northern MALAWI, and the islands of COMOROS, MAURITIUS, Eastern MADAGASCAR, and SEYCHELLES. Nevertheless, there is need for serious disaster risk reduction, because there can be uneven rainfall with sudden heavy downpours that can lead to flooding, displacement, destruction of property and infrastructure, as well as loss of life. It says in such situations, access to basic social services like schools, health centres and markets, could be disrupted; with affected areas facing outbreaks of water- and vector-borne diseases. The agency says the key recommendation is that prevention is better than cure because it also contributes to resilience-building. LUSAKA – The Government of ZAMBIA has warned its nationals to avoid involvement in efforts to eject CHINESE investors from the country through violent actions. Justice Minister GIVEN LUBINDA says there is an economic war against CHINA, and it is wrong for nationals of his SADC country to join such a fight. He has described it as unfortunate that some ZAMBIANS are taking the law in their own hands by attacking the foreigners who have come into the country to invest. Minister LUBINDA says recent xenophobic attacks on CHINESE nationals are unfortunate, and he has urged citizens to use better means to channel their grievances if they have any. However, he says ZAMBIA has adequate laws to guarantee the safety of investors, domestic and foreign. Minister LUBINDA says it is saddening some political leaders are inciting ZAMBIANS to rise against the State decision to engage the CHINESE in some developmental projects. He has made the statement in the ETHIOPIAN capital, ADDIS ABABA, shortly before going to ROME for 10TH Anniversary of the Campaign against the Death Penalty. The police have reportedly arrested the opposition UNITED PARTY FOR NATIONAL DEVELOPMENT leader for allegedly encouraging attacks against CHINESE nationals. Media reports say HAKAINDE HICHILEMA, who last year spent FOUR months in detention for alleged treason, has since been set free. They quote COPPERBELT Provincial Police Chief CHARITY KATANGA as saying the politician allegedly accused the State of selling a national timber company to the CHINESE. The official says the statement caused street protests in the SECOND largest city, KITWE, where some CHINESE businesses were looted before the arrest of scores of protesters. News agencies say anti-CHINESE sentiments in ZAMBIA have increased over lucrative contracts CHINA is securing from the government, which is also borrowing heavily from BEIJING. Other earlier reports say the ZAMBIAN Mission in CHINA has dismissed a story about a ZAMBIAN student allegedly was brutally beaten and is battling for his life in the ASIAN country. They say Acting Foreign Affairs Permanent Secretary WINNIE CHIBESAKUNDA has trashed the allegations after having contacted the ZAMBIAN Mission in BEIJING. 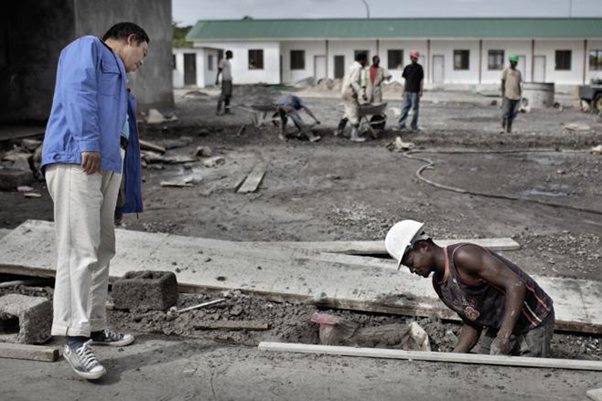 The developments in ZAMBIA come amid heightening anti-CHINESE propaganda casting CHINESE nationals in bad light following a ruthless global economic war for influence between CHINA and the WEST. 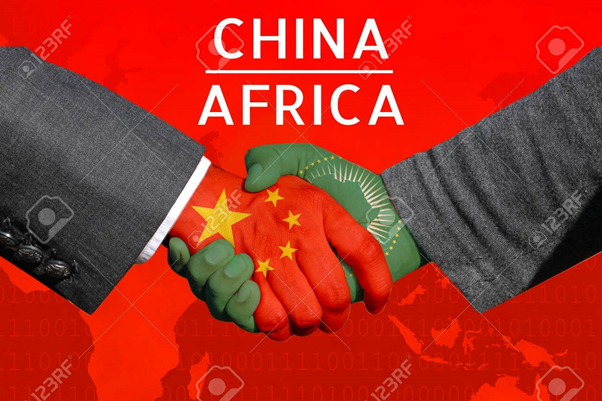 In JULY this year, the SOUTH CHINA MORNING POST reported the engagement with AFRICA has fast-tracked over the decades as the CHINA eyes the world’s SECOND largest continent for chances for economic growth and geopolitical influence. It says the visits by President XI JINPING to SENEGAL, RWANDA, SOUTH AFRICA, and MAURITIUS were his FIRST overseas trips in 2018, aimed to build ties as well as extend CHINESE influence in AFRICA. LUSAKA – President EDGAR LUNGU of ZAMBIA has called on agricultural producers in his country to adopt good farming practices in the wake of erratic rainfall patterns. He says communities should take up conservation farming and other modern forms of production to help mitigate the effects of Climate Change. 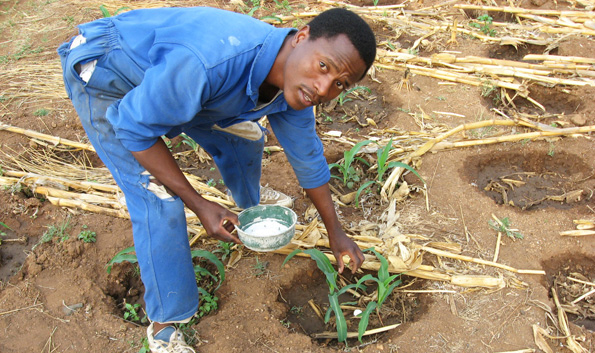 The Food and Agricultural Organisation says Conservation agriculture involves resource-saving, crop production that achieves acceptable profits. The concept further promotes high and sustained production levels, while at the same time protecting the environment. President LUNGA says shifting weather patterns have seen the northern HALF of the SADC country receive favourable downpours, while the south is experiencing erratic rains. ZNBC News says he has launched the 2018 to 2019 Planting Season in the MWINILUNGA District of the NORTH WESTERN Province, pledging to accelerate development of the agriculture sector in area. It quotes the Head of State as saying the region is blessed with rich soils as well as abundant rains, and the government wants to exploit the situation for the benefit of the whole country. 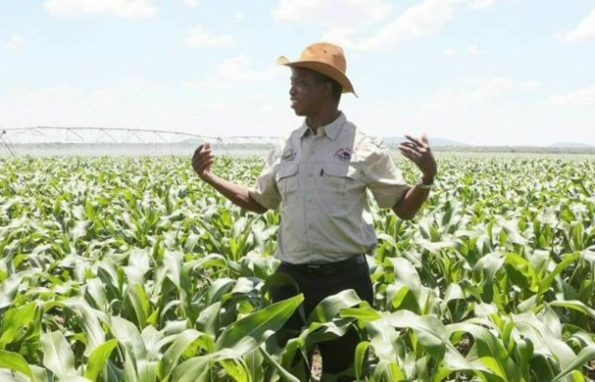 President LUNGA says his vision is to transform the NORTH WESTERN Province into the national food basket, calling on residents to use the good natural resources and the favourable rainfall patterns to increase agricultural production. He also says traditional leaders should embrace both domestic and foreign investors who may be interested in funding agricultural production. Comments by the ZAMBIAN Leader come amid reports saying most of the SADC Region is likely to receive normal to below-normal rains between OCTOBER and DECEMBER, with above normal rainfall over the northern HALF of TANZANIA. The SADC Secretariat says JANUARY to MARCH 2019 period will witness normal to below normal rainfall for most of the 16-member economic bloc. It says Northern ANGOLA, Central DRC, South-western TANZANIA, Northern MALAWI, and the islands states of COMOROS, MAURITIUS, Eastern MADAGASCAR and SEYCHELLES are likely to receive normal to above normal rainfall throughout. Mean temperatures will be normal to above normal for most of the 2018 to 2019 season over the entire SADC Region, except for North-eastern DRC, North-western TANZANIA, Southern MOZAMBIQUE. Other SADC countries likely to have above normal temperatures are ESWATINI, Central and Eastern SOUTH AFRICA, Northern LESOTHO, South-west of BOTSWANA, Southern NAMIBIA, and North-western SOUTH AFRICA. CHIPATA – The government of ZAMBIA says it is very concerned about the high prevalence of HIV and AIDS in the EASTERN Province. Health Minister CHITALU CHILUFYA has revealed the region recorded alarming numbers of new infections in the recent past, with CHIPATA and PETAUKE areas leading the rest. He says there is need to screen, test, and treat more people to achieve the 90-90-90 targets, which the Joint UNITED NATIONS Program on HIV and AIDS, UNAIDS, and its partners launched in 2014. The scheme aims to diagnose 90 percent of all HIV-positive persons, give antiretroviral therapy, or ART, for 90 percent of diagnosed cases, and achieve viral suppression for 90 percent of treated patients by 2020. Minister CHILUFYA says the primary concern of the ZAMBIAN Government is human capital, hence the need to have a healthy workforce for economic development. ZNBC News says the Cabinet Member has made the comments in CHIPATA Town during the launch of the 2018 to 2019 HIV Epidemic Control Surge Campaign. It says Senior Chief MADZIMAWE of the NGONI people of CHIPATA has commended the government and cooperating partners for their efforts towards the fight against HIV and AIDS. The national broadcaster also quotes UNITED STATES Ambassador DANIEL FOOTE as saying Human Immuno-deficiency Virus, which causes AIDS, is no longer a death sentence like before. The AMERICAN Envoy says the infection has now become a chronic condition under which a person can lead a healthy life. A 2016 report by the OPEN AIDS JOURNAL says world trends in HIV infection show an overall increase in frequency and substantial declines in AIDS related deaths largely due to the survival benefits of antiretroviral treatment. With more than 70 percent of the global infections, and despite scaled up treatments, Sub SAHARAN AFRICA accounted for 74 percent of the ONE-POINT-FIVE-MILLION AIDS related deaths in 2013. LUSAKA – The government of ZAMBIA has announced plans for a law to facilitate the harvesting and sale of the MUKULA timber on an open market to foreign entities. ZNBC News quotes Lands and Natural Resources Minister JEAN KAPATA as saying the proposed legislation will bring a reduction in the illegal collection and marketing of the tree. It says she has disclosed the information in ETHIOPIA where she has been attending a Least Developed Countries Ministerial Meeting on Climate at the UNITED NATIONS Commission for AFRICA. Minister KAPATA has paid a courtesy call on the ZAMBIAN Ambassador to ETHIOPIA, SUSAN SIKANETA, saying the government is committed to ensure proceeds from the MUKULA tree benefit all citizens. Conservation experts say the MUKULA takes 90 years to grow to 18 meters, and is ONE of the strongest timbers on earth – with vehicle makers like BENZ and BMW using it to make dashboards. Meanwhile, the ZAMBIAN Lands and Natural Resources Minister says the least developed countries have called on the advanced economies of the world to reduce global greenhouse gas emissions. Her call comes amid a controversial argument over the depletion of the ozone layer that protects the earth from harmful direct sunrays, with developed countries – which have polluted the atmosphere – calling the poor countries to stop industrial advances. They want the THIRD WORLD to use what they call safe methods of production, which means using renewable energy sources like solar, hydro, and wind powered electricity generators. Poor nations are therefore encouraged to plant a lot of trees to absorb greenhouse gases like carbon dioxide and methane, which the FIRST WORLD has been pumping into the skies for hundreds of years – causing the current climate change conditions. Climate change is the shift in weather events linked to increased global average temperatures: and experts say it is real, as temperatures have been rising worldwide for many decades. The ZAMBIAN Ambassador to ETHIOPIA, SUSAN SIKANETA, has commended her government for introducing a tree-planting program in the SADC country. 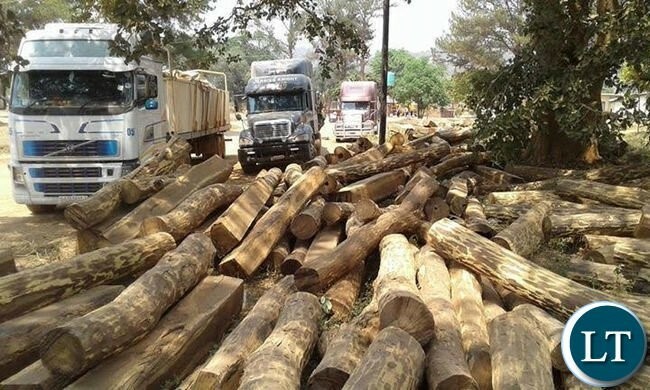 A report by the THOMSON REUTERS FOUNDATION says ZAMBIA earlier this year started exporting timber seized from illegal loggers who continue to fell trees despite a nationwide ban. However, REUTERS says such moves have caused controversies in other countries – with some people arguing selling confiscated timber sends the wrong signal to illegal loggers and others accepting it as a way to provide much-needed income. LUSAKA – ZAMBIA has assured the UNITED NATIONS High Commission for Refugees it remains committed to fulfil its international obligation to refugees and persons of concern. Home Affairs Minister STEPHEN KAMPYONGO says the government will continue to give asylum to people who flee their country for different reasons in line with provisions of the law. ZNBC News quotes him as saying his country will not turn away anyone with sufficient reasons to get in, but the State will not help persons evading the law in their countries of origin. Minister KAMPYONGO has made the remarks in a meeting with the High Commissioner for Refugees, FILIPPO GRANDI, on the side-lines of the 69TH Session of the UN Executive Committee in GENEVA, SWITZERLAND. High Commissioner GRANDI has in turn, commended the ZAMBIAN Government for hosting asylum seekers in the SADC country, which among nations doing very well in hosting refugees from different places. A 2014 report by the world body says ZAMBIA has hosted refugees from the region since the 1960s. It says as of mid-2014, some 54-THOUSAND exiles and other people of concern like asylum seekers, stateless and internally displaced people resided mostly in the TWO refugee camps of MEHEBA and MAYUKWAYUKWA. The majority are from ANGOLA, more than 22-THOUSAND; DEMOCRATIC REPUBLIC OF CONGO, more than 18-THOUSAND; and RWANDA, about FOUR-THOUSAND, according to the World Bank Group study of 2015. The UN High Commission for Refugees says many ANGOLAN refugees have stayed for more than 40 years, with some having been born and brought up in ZAMBIA as SECOND or THIRD generation refugees. The world body says the authorities have repatriated more than 16-THOUSAND ANGOLAN refugees and former exiles to ANGOLA, which is now considered to be safe following the end of UNITA banditry in the SADC country. Meanwhile, ZAMBIA has pledged to locally integrate 10-THOUSAND former ANGOLAN refugees and FOUR-THOUSAND former RWANDAN refugees. To facilitate the process, the State has allocated settlement areas, with FIRST ANGOLANS granted permanent residency permits in 2012 – giving them access to the same rights as ZAMBIAN nationals. 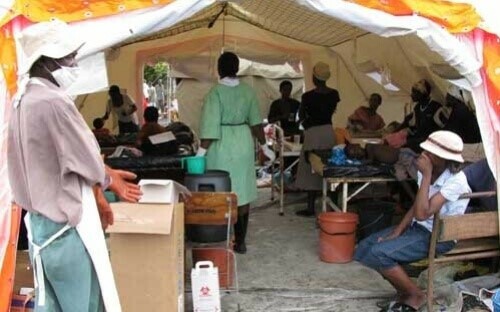 CHIRUNDU – People travelling from ZIMBABWE to ZAMBIA are reportedly undergoing thorough, and sometimes humiliating screening for the deadly cholera disease. THE HERALD newspaper in ZIMBABWE says the authorities on the ZAMBIAN side of CHIRUNDU Border Post across the ZAMBEZI are giving laxatives to incoming travellers. Medical experts say laxatives are used to evacuate the colon for rectal and bowel examinations, and sufficiently high doses of the drugs may cause diarrhoea. THE HERALD says ZIMBABWEANS going to ZAMBIA, especially passengers travelling on buses, are given laxatives to force them to defecate and facilitate stool testing. It says the exercise is causing congestion at the border post, as travellers have been seeking to use the toilet before the authorities let them through after the humiliating tests. Officials in the Ministry of Health and Child Care have taken up the issue with their Permanent Secretary. MASHONALAND WEST Provincial Medical Director WENCESLAUS NYAMAYARO says he has received a report about the screening by ZAMBIAN authorities at CHIRUNDU. The latest development comes as the authorities in the ZAMBIAN capital, LUSAKA, are appealing to religious groups to help fight cholera. The national broadcaster quotes LUSAKA City Council Public Health Acting Director EDGAR MULWANDA as saying groups such as churches should promote the spirit of hygiene among their members. 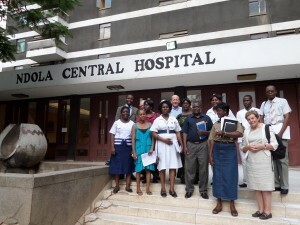 ZAMBIA has been on high cholera alert since last year, with a report from the International Federation of the RED CROSS in JUNE saying the disease is endemic to the country. 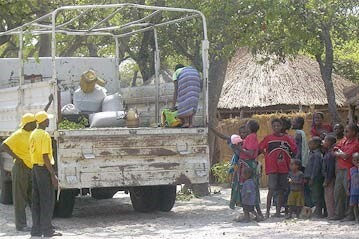 It says outbreaks occur almost every year in the LUSAKA, SOUTHERN, NORTHERN and LUAPULA provinces. The study also says this year, the outbreak happened just before the rainy season – which is unusual, but it followed a period of inadequate water supply during summer period , which forced more people to use unsafe sources. In ZIMBABWE, the disease broke out this month in the GLENVIEW and BUDIRIRO high-density suburbs; killing up to 30 people countrywide so far.